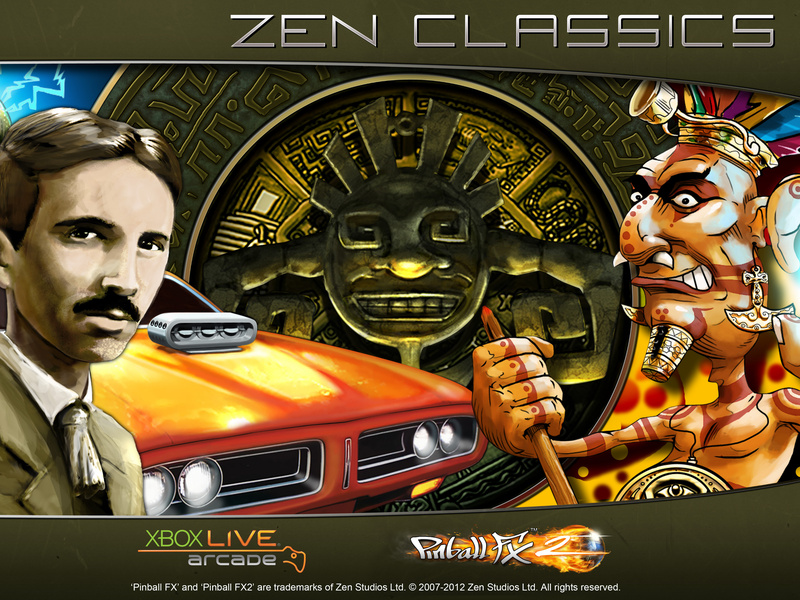 It is always a good day when we get a message from the folks at Zen Studios informing us of the latest offerings for their Pinball FX 2 platform. 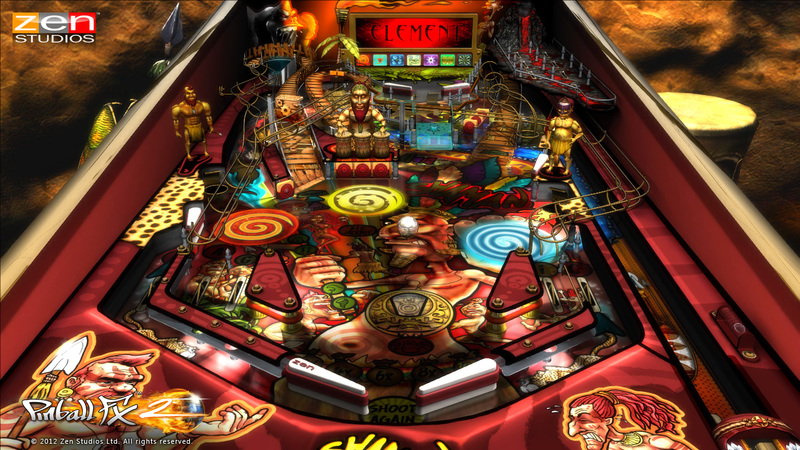 In the past we’ve seen them sculpt pinball into a multitude of different takes and spins, but this time they are showing off some of the entries in their Classics line, with four old fashioned but still top notch tables. Let’s see what’s notable this time around. Whereas in many of the tables we’ve reviewed over the years we’ve seen things like fully modeled and animated characters doing battle on the table, this time around the visual impression is made mostly by the art style. Each of the four tables has a strong theme to it, and there is a tremendous amount of variety in the set. Shaman has a cartoonish witch-doctor vibe to it. V12 looks like the internal workings of a nitro-burning muscle car’s engine. El Dorado has a ‘lost temple’ feel, with carved heads, booby traps, and other Indiana Jones staples. Probably my favorite is the Tesla table. It is covered with mad scientist-level gadgetry, along with plenty of brass, wood, and tubes. Undeniably steampunk. I tell you, mad science had class back then. Naturally every table has the flashing lights, twirling spinners, and pulsing bumpers you would expect on a real pinball table. On top of that is the tiniest touch of the physically improbable. The ball return for Tesla is a big fancy cannon, and El Dorado has you launching your ball into the mouths of a progressively taller stack of tribal heads. It maintains a nice balance of realism without completely ignoring the opportunities afforded by the digital nature of the tables. As with the visual presentation of the tables, the gameplay isn’t any fancier than a high end physical table. Different lanes flashing at different times, various modes activated by precision ball launching, and of course the old standards like multiball. In addition, most tables have extra bumpers, in some cases going so far as to have a veritable table within a table. 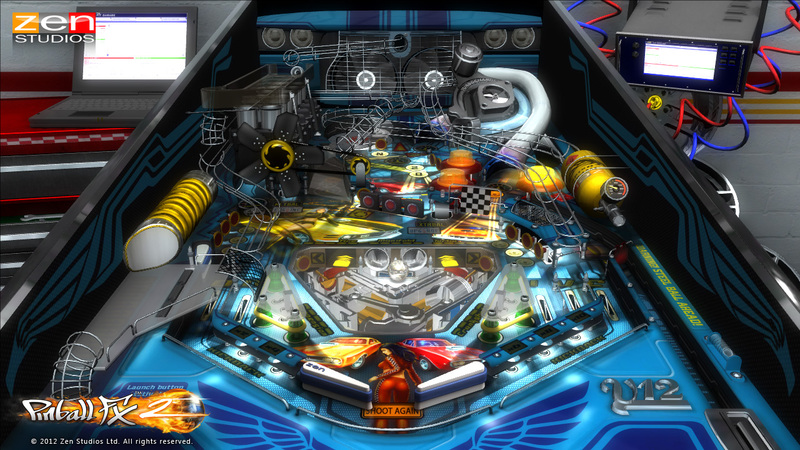 Once again, complex to the point of being just nearly physically impossible, but never losing the feel of the classic pinball game. 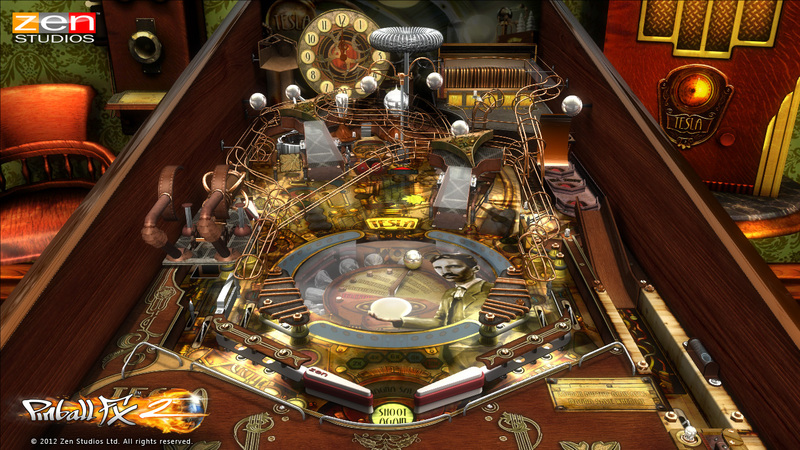 I must regrettably point out, as always, that there is a great deal of depth to a pinball table that you simply won’t ever access without a heap of skill. In a way this is unfortunate, because it means someone with the reflexes of an inebriated rhinoceros (like me) will barely scratch the surface of a given table. It works out well for the end consumer, though, because it means the more time you spend with a table, the more modes you’ll discover and the more fun you’ll have. 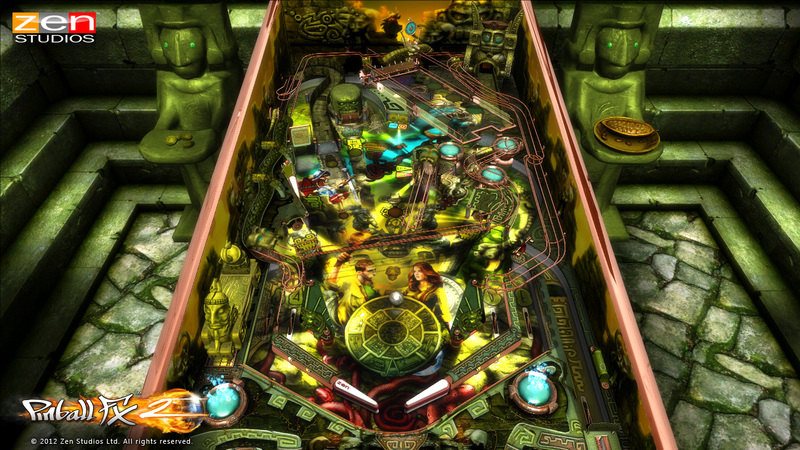 And let’s not forget that Pinball FX 2 automatically puts your score up on the Live leader boards. What that means for you is that you can see how your friends stack up against you. What that means for me is that (while I’m playing an early review) I get to see how much better the big name reviewers are at playing pinball than I am. Not much to say here that hasn’t been said in the other pinball reviews I’ve written. Once again, Zen hits all of the arcade requirements. Thumping mechanical noises for the flippers, audio segments, rattling bumpers. Etc, etc, etc. 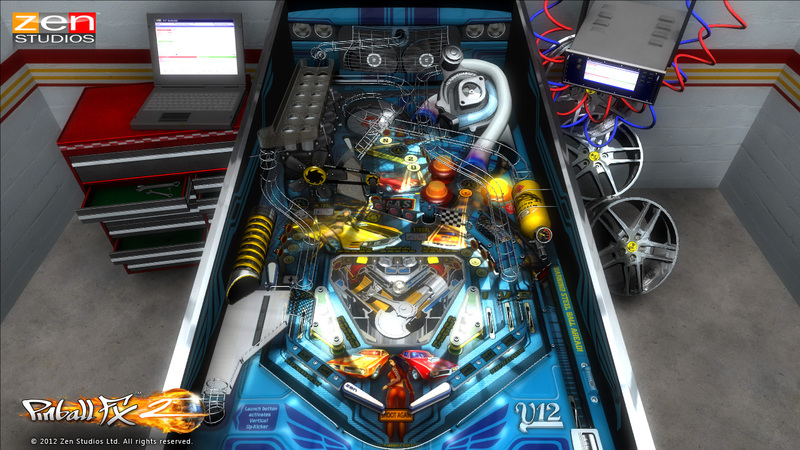 The full pinball experience. And each table’s audio and score (in this case referring to the music, not the ever-escalating number at the top of the screen) are well matched to the visual theme. These being classic-style tables, they don’t so much have a story as a theme, as described in the visuals section. 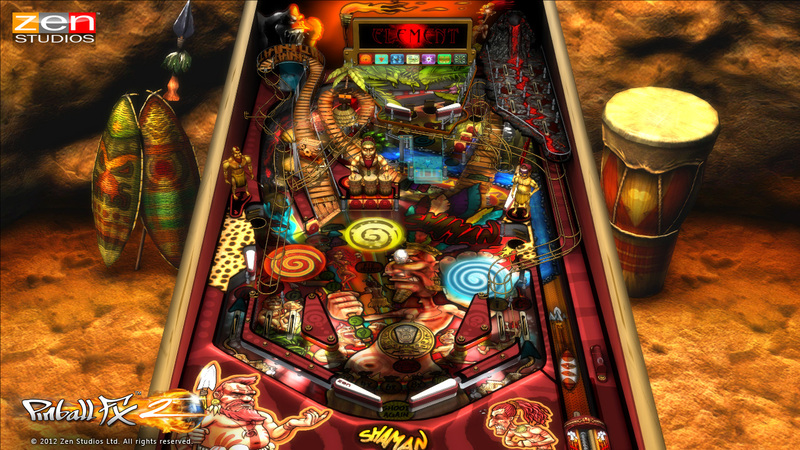 Whereas many of the past Zen tables have been dedicated to seeing how far the concept of pinball can be stretched and evolved, these four tables take it back to its roots, delivering a fairly down to earth, traditional pinball experience. If you’re a fan of the old school arcade machines, you’ll love this game. If you’re looking for something that pushes the borders of the platform, look to the marvel tables. 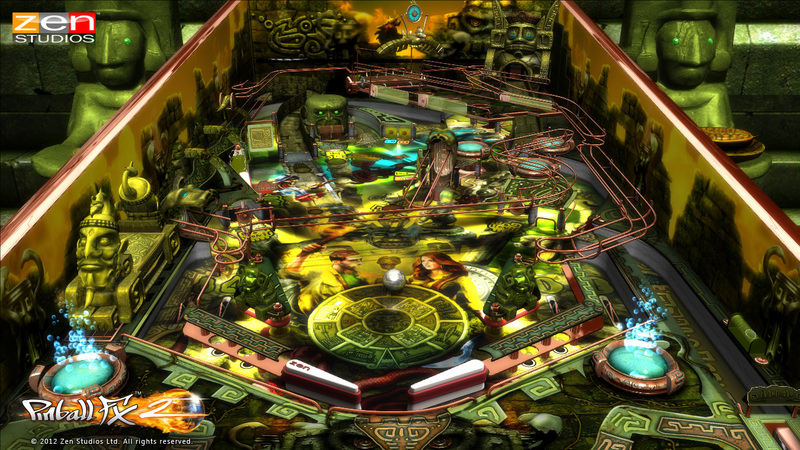 8.0 / 10: Once again, Zen puts forth some fine examples of why they are the final word in console pinball.